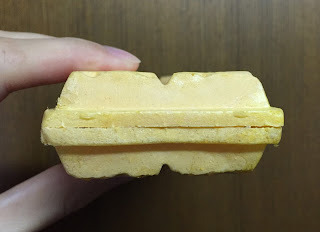 Akagi Nyugyo launched Pablo Monaka Ice on February 16, 2016. 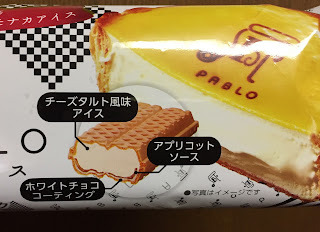 Pablo is a cheese cake tart shop that has 2 types of textures; rare or medium like steaks. 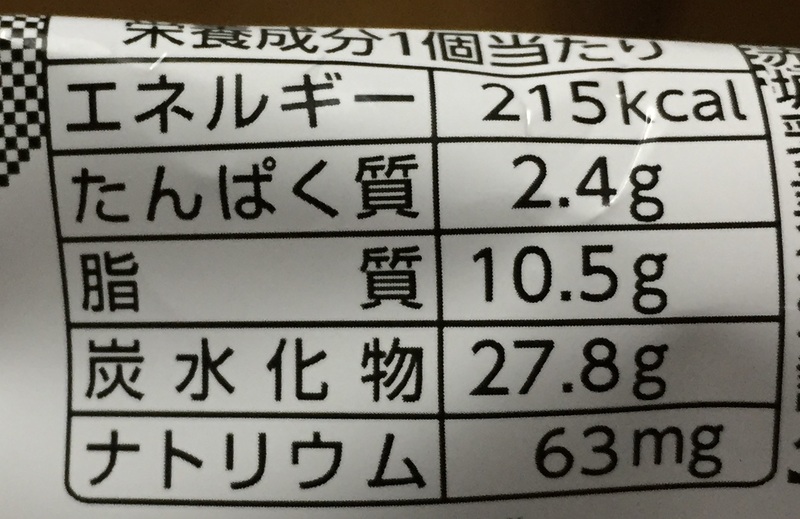 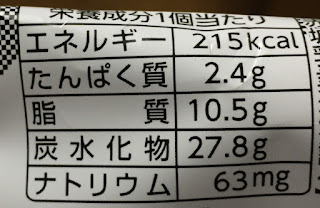 Monaka is a Japanese thin wafer made from mochi. 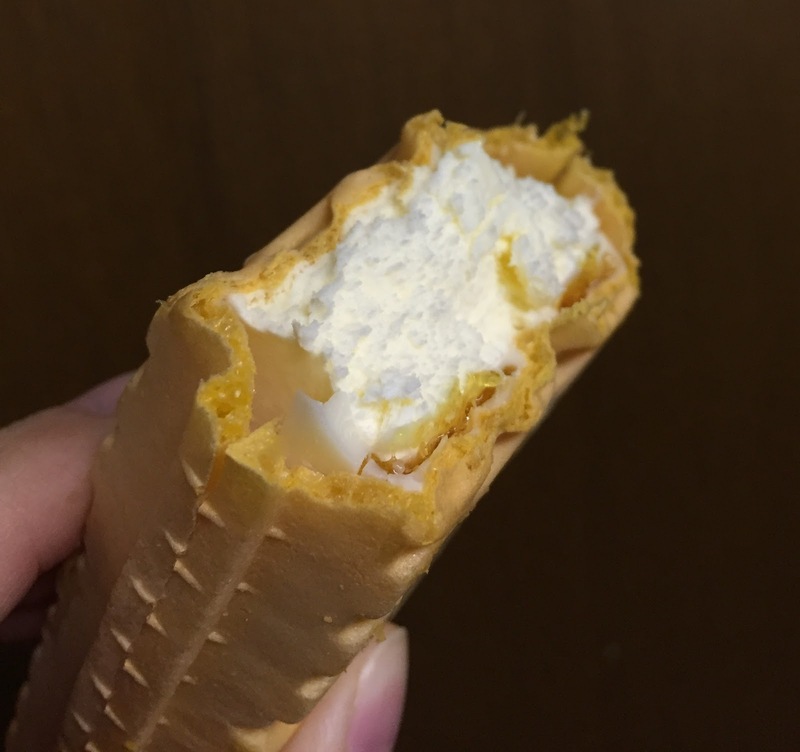 Ice is an abbreviation of ice cream. 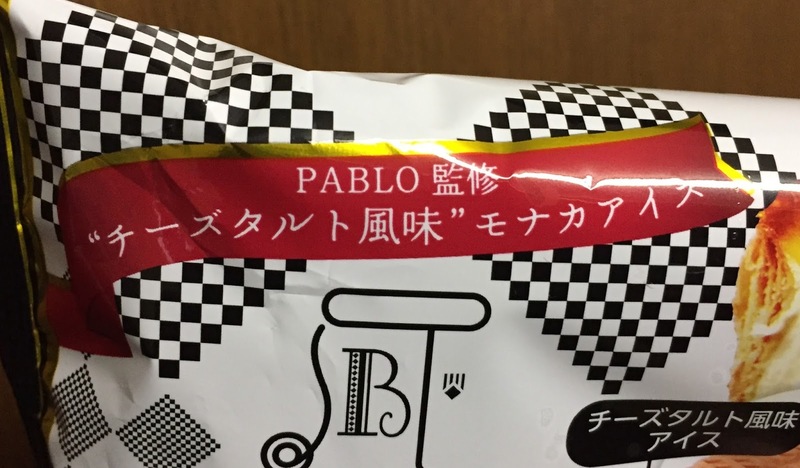 On the back, there's an image of Pablo's cheese tart. 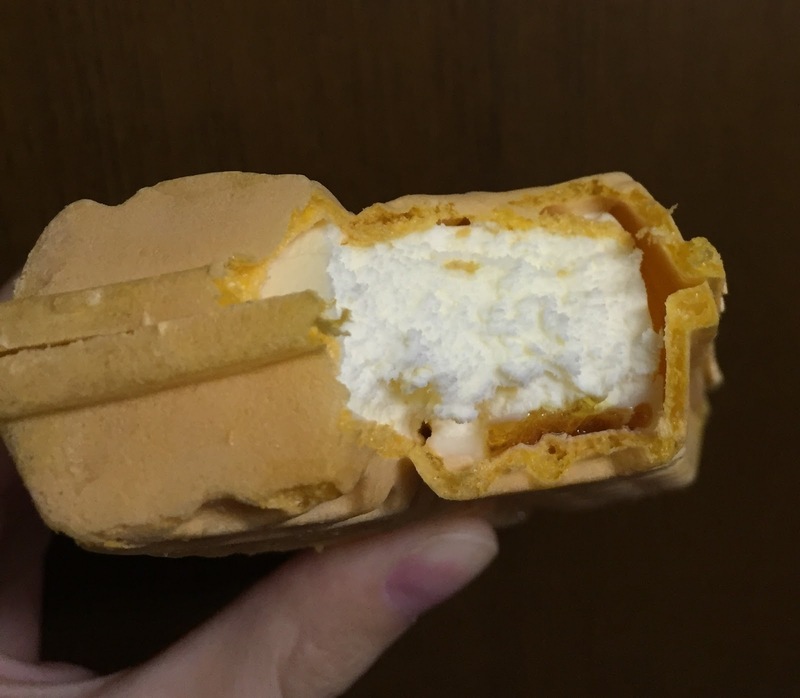 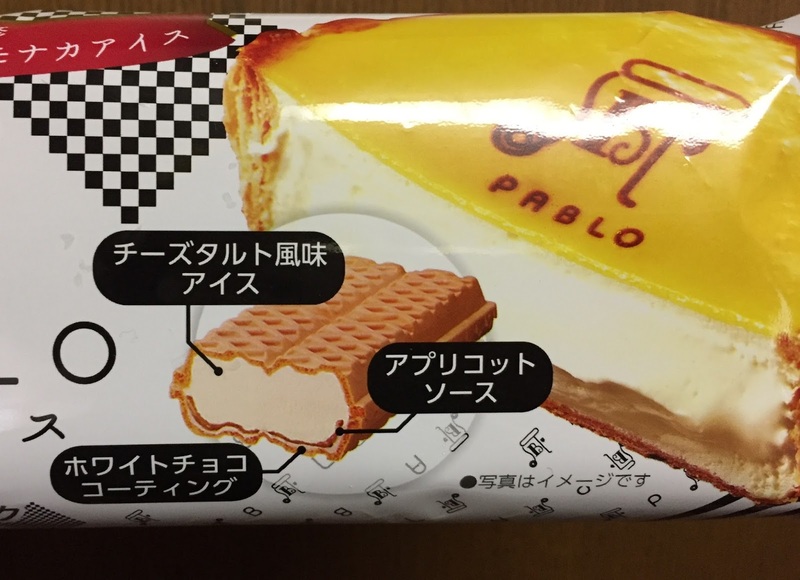 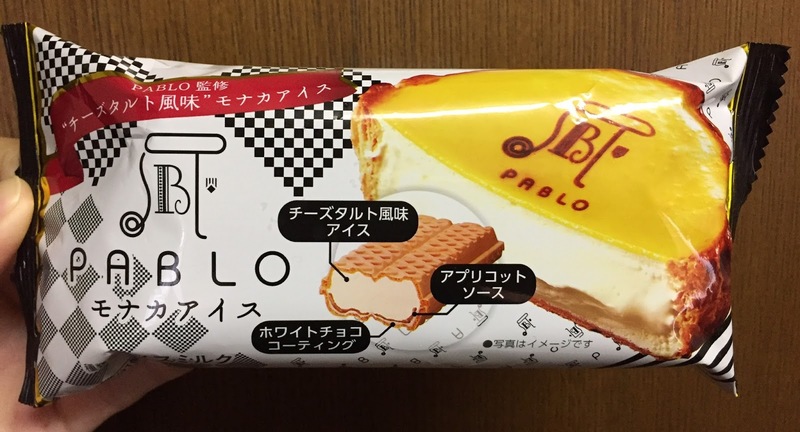 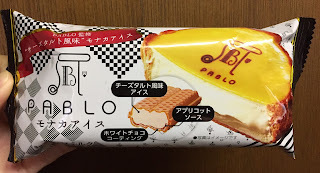 With cheese tart flavored ice cream, apricot sauce and white chocolate coating, it recreated Pablo's cheese tart flavor. Monaka was light and crispy and the cheese tart flavored ice cream tasted similar to cheesecake. 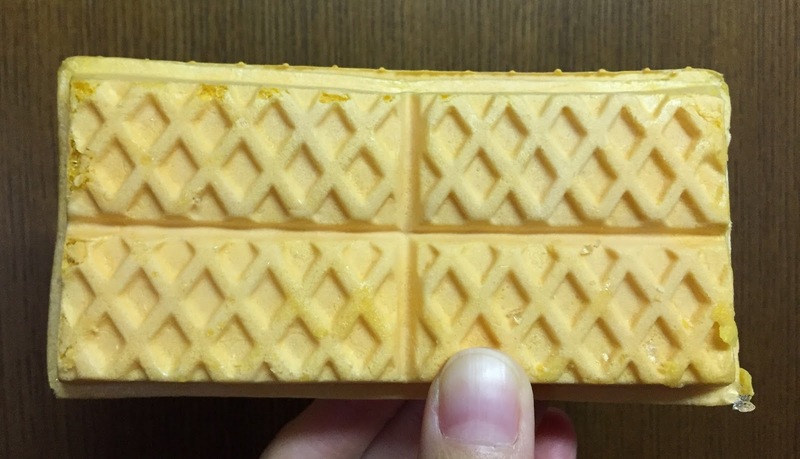 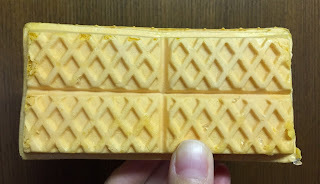 Apricot sauce was sweet-sour and refreshing, and a thin white chocolate coating was crunchy. The sauce and chocolate coating were put only on one side so that it's not too sweet and tasty. 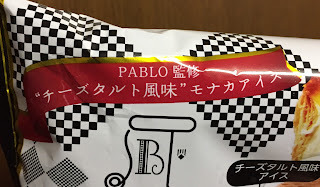 It's similar to Pablo's cheese tart thanks to the apricot sauce, but it'd have been closer if the cheese flavor had been stronger.